Having formed as part of the Solar System around 4600 million years ago, the internal structure of the earth is composed of condensed gases and particles in concentric layers. At extremely high temperature and pressure, the densest part of the earth is the central core, whilst the coolest, lightest and thinnest part of the earth is the outer layer, the crust. In between the two exists a thick layer known as the mantle, capable of movement, even though it is comprised of mostly solid rock. The movement of the mantle is key to the changes that have occurred on the Earth's surface since its formation. The earth's crust moves across the mantle in great sections, known as plates. The plates fit together like a giant jigsaw, great sections constantly moving relative to each other at a rate of a couple of centimetres per year. 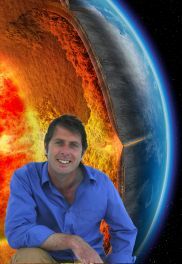 Known as plate tectonics, this process is responsible for continents colliding as they move from one side of the globe to another, oceans opening and closing, sea levels dramatically altering and mountains rising; millennia of volcanic action, earthquakes and unbelievable pressures contorting the very rock itself. New rock is created where the plates pull apart (constructive plate margin) and old rock sinks back down into the mantle and melts where one plate slides under the other (destructive plate margin). Quite literally the Earth recycles itself! In some cases the plates do neither of the above but judder past one another. The pressure between the plates build until the forces cannot hold any longer and an earthquake occurs, sometimes creating great tears in the earth and potentially further complications from tsunami if the quake occurs under the sea. Although much older rocks exist elsewhere in the country, the first rocks evident in Torbay are from the Devonian Period, the pre-Devonian history is uncertain. Formed when molten rock (magma) from beneath the surface of the earth cools and solidifies. If the cooling takes place at the surface it is known as extrusive (volcanic) rock, whereas if the cooling takes place beneath the surface, it is known as intrusive (plutonic) igneous rock. Crystallisation can occur but this is dependant on the speed of cooling. Large crystals grow in plutonic rocks, the slower the cooling process the larger the crystals as can be seen in the granites of Dartmoor. In Torbay, Black Head, found on the coast between Hopes Nose and Long Quarry is composed of basalt formed when the underwater volcanoes erupted. The sediments are gradually compacted into sedimentary rocks, a process known as lithification. 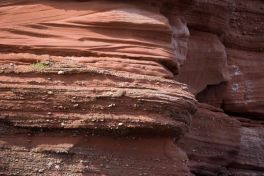 Both the limestones and sandstones found in Torbay are sedimentary. Formed when sedimentary, igneous or even old metamorphic rock, is subject to heat, greater than 1500 Celsius and extreme pressure, which causes a physical and or chemical change. 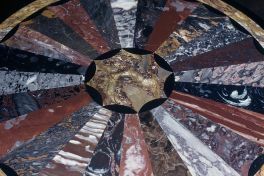 The marble quarried from Petit Tor is in fact limestone that has undergone metamorphism.